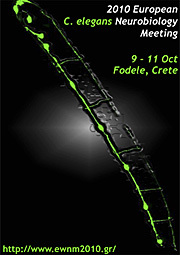 The 2010 European C. elegans Neurobiology Meeting (EWNM2010) will take place between the 9th and the 11th of October 2010, at the Fodele Beach Resort on the island of Crete, Greece. 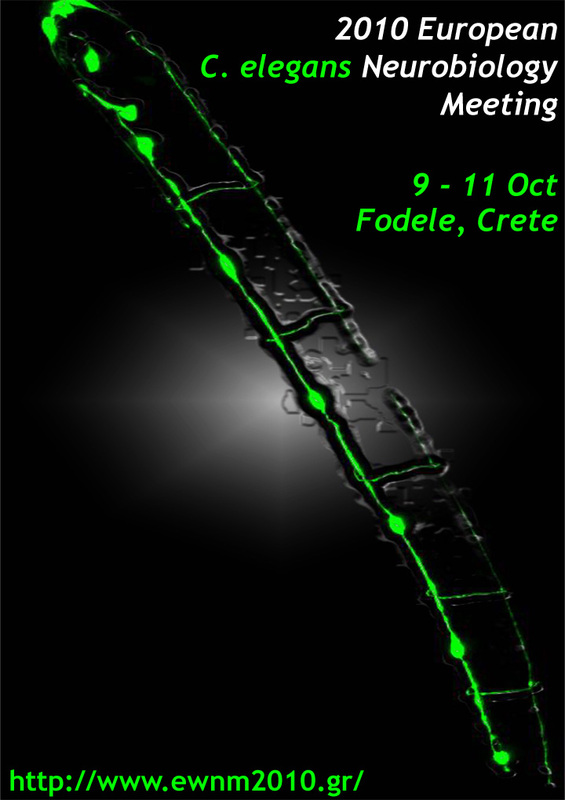 Please, follow the links on the navigation bar to find information about the meeting venue, registration, accommodation and abstract submission. All meeting questions should be directed to Mrs. Georgia Houlaki (EWNM2010 Secretariat, info@ewnm2010.gr) or Nektarios Tavernarakis (organizer, tavetralalarnarlalaakis@ilalalambblalala.fortralalath.gr). These pages will be regularly updated to include the latest information about the meeting.